He attended St Mary’s Private School, Ajele for his Primary School Education and then International School, Ibadan, for his Secondary School Education. In 1984, he gained admission into the University of Lagos to read Civil Engineering and graduated with honours in 1989. He thereafter proceeded for NYSC in Escravos, Warri, Delta State where he worked on various projects with the Design and Construction Dept, Escravos Tank farm of Chevron Nig Ltd.
After NYSC He worked with Demabog Nig Limited(Civil Engineering Contractors) and Eshrow Associate(Engineering Consultants). During this period, he also obtained an Msc Degree in Construction Management from the University of Lagos. He has worked in the followings MDA’s. 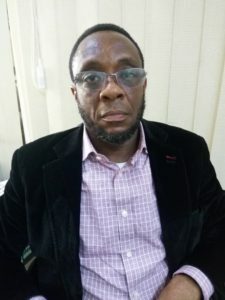 Ministry of Physical Planning, Ministry of Works and Infrastructure, Lagos State Public Works Corporation and is presently at the Ministry of Education as Director of the Projects Unit. Engr. Sotire is happily married with 3 children.